Spring Clean Cleaning Service LLC - Nashville is a minority owned; disabled veteran operated janitorial company headquartered in Nashville, TN. Spring Clean specializes in full service cleaning for the Federal Government, local Government, and commercial clients. We are fully insured and bonded and provide services and benefits that are unsurpassed in the industry today. Spring Clean was founded in 1994 and is a privately held Limited Liability Corporation. Spring Clean is certified by the Small Business Administration as an 8(a) Small Disadvantaged Business. In addition, Spring Clean is certified by the Department of Veteran Affairs as a Service-Disabled Veteran owned business. Our experience and operation span 20 years with a client list that includes the Army Corps of Engineers, Veterans Administration, Metropolitan Government of Nashville and Davidson County, Nashville Electric Service, Public Works, Bridgestone/Firestone, McGhee Tyson Air National Guard, Nashville Career Advancement Center, ITT Technical Institute and the City of Berry Hill. 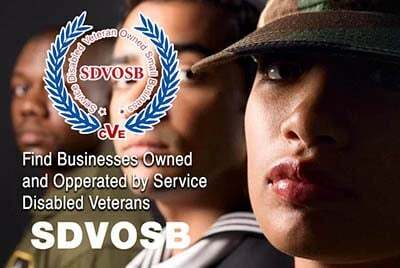 Please mention you proudly found Spring Clean Cleaning Service - Nashville on Veteran Owned Business (VOB)! The United States Navy taught me hard work and dedication and how the become a great leader. This page has been visited 1409 times. Spring Clean Cleaning Service full service cleaning for the Federal Government, Local Government, Municipalities, and Commercial Clients. We offer services for small businesses, fitness centers, churches, schools and day care, medical offices, restaurants, and much more.